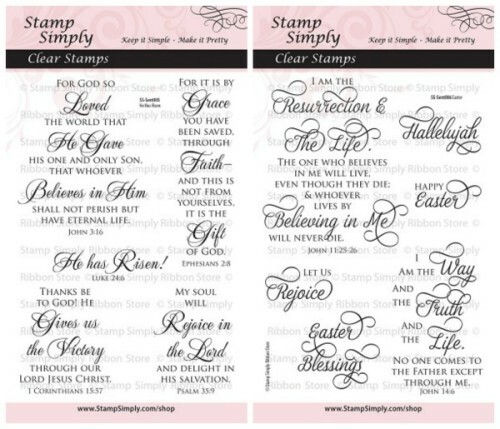 Welcome to Wednesday of our week focusing on Easter & Blessings using our SPRING RELEASE of Stamp Simply Clear Stamps. You can find our introductory post here. Isn’t this just so very beautiful! So stunning. Deb did this using a stencil, embossing paste and glitter. And once again Deb made her flowers out of coffee filters with her go-to flower die! And here’s the inside of Deb’s card, using the same stamp set. You can find Deb’s post on her blog here – and she is offering BLOG CANDY, too! For even greater savings purchase our Easter Combo Offer. 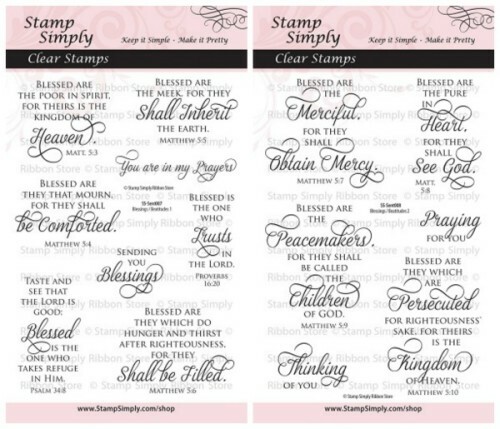 Find ALL Stamp Simply Clear Stamps here. GORGEOUS COLLECTION with so many coordinates and pretty stamps, too. 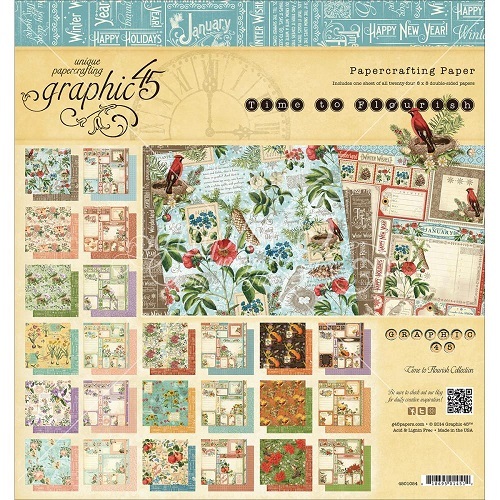 Find ALL Graphic 45 in stock here. 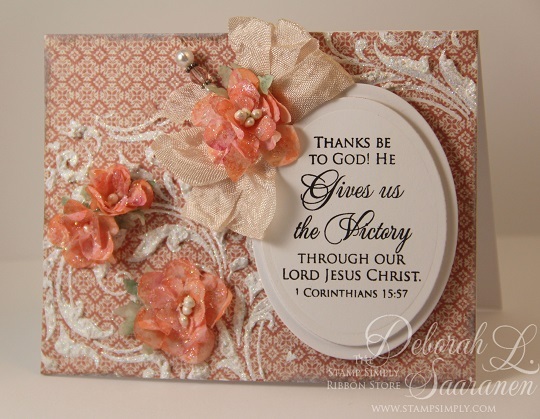 This is one of Spellbinders newer flower dies that has proven to be wildly popular. Deb’s coffee filter flowers are a wonderful example! 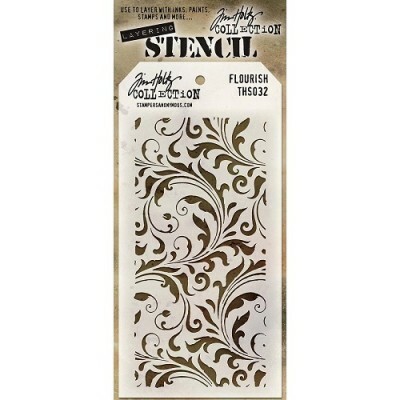 Find ALL stencil products in stock here. Find all embossing pastes in stock here. 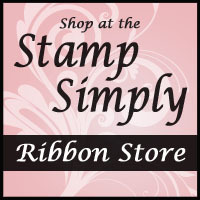 All items available at The Stamp Simply Ribbon Store, as linked. These are the four NEW sets in our Spring Release. Each morning this week one of our Design Team will be offering BLOG CANDY. $15.00 of ANY product of your choice. Deb’s Blog has the Blog Candy offering for Wednesday. Sheri’s blog has the Blog Candy offering for Tuesday. Holly’s blog has the Blog Candy offering for Monday. My blog (this blog) has the Blog Candy offering for Sunday. You are welcome to enter on ALL blogs, but only ONE entry per blog, please! Check out our NEW service – the Personal Ribbon Shopper. Not sure what color ribbons will match the paper pads in your cart? Let us match them up for you – a perfect match every time! Find our beautiful spring/summer themed Embellishment Kits here. 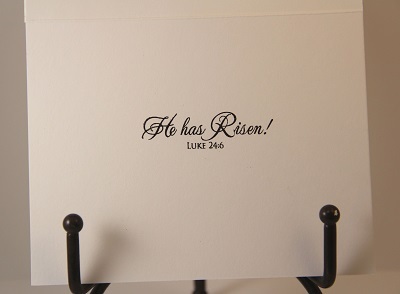 Find Easter themed products here. 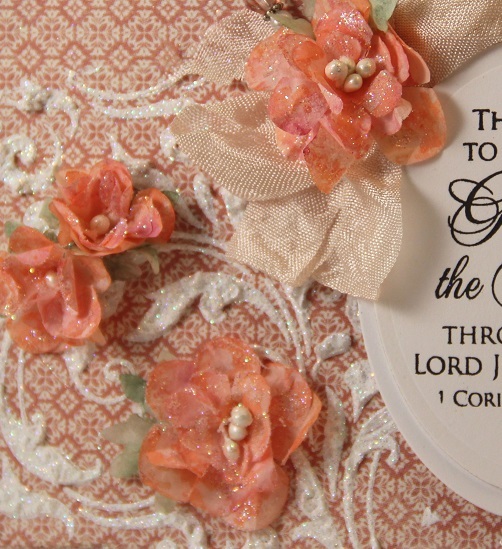 Find other items in our Christian/Scripture category here. Find the NEWEST Spellbinders dies added here and here. Find the entire JustRite CHA release in stock here – NEW!!! 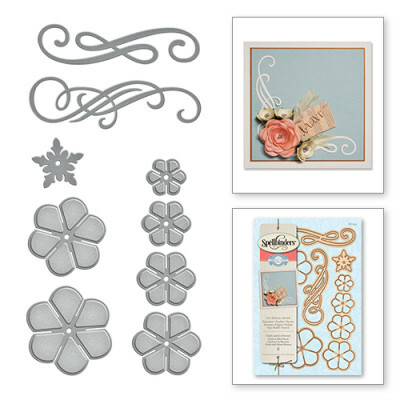 All Spellbinders Products always reduced — dies and embossing folders. 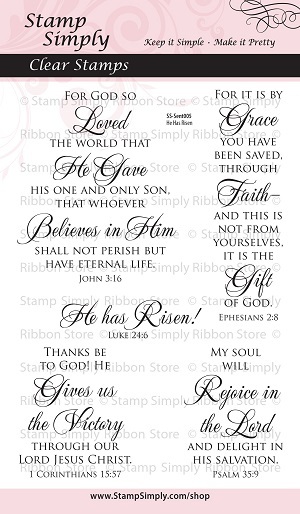 Check out ALL JustRite products here – all reduced – background, clear, cling, small cling, dies. Find our prepared KITS here. We’d LOVE to have you scroll down to see all the beautiful work by our very talented Design Team. I encourage you to LIKE The Stamp Simply Ribbon Store Facebook Page if you have not done so already. You may also subscribe to this blog using the Feedly, Bloglovin or Feedblitz links at the top of the left sidebar. Thank you for stopping in again today! And please check in each day this week. Our Design Team has so many gorgeous projects to share with you using our new sets. this is a beautiful card. thanks for the inspiration/creation.